Claire Wade began her career in quantitative genetics before making the leap to genomics in 2002 when she began a position with the Whitehead Institute for Biomedical Research at Massachusetts Institute of Technology. The genomics group at the Whitehead later became one of the founding groups of what is now the Broad Institute. 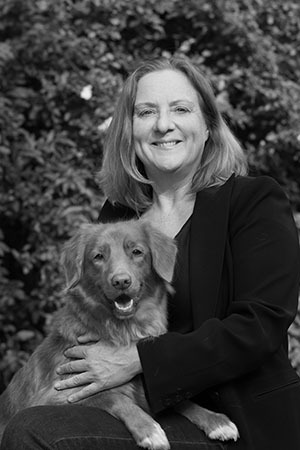 While in the USA, Claire worked on several mammalian genome projects including the mouse, dog and horse (for which she was the lead researcher). Claire’s research interests include unravelling the secrets of genome biology using next generation sequencing. In particular, she studies the application of new genomic technologies to improve our understanding of diseases and behavioural traits in domestic animals and wildlife and our understanding of the links between DNA and phenotype in general. Projects currently underway are as diverse as studying the genetics of durability in Thoroughbred race horses, finding genes underlying canine separation anxiety and working dog performance, improving captive animal management using new genetic resources, and developing new methods for the computational analysis of high throughput sequencing data. Other projects involve mapping genes causing congenital disorders in dogs including cleft palate and deafness using whole genome association analysis and genotyping by sequencing.